We all know the big three paid search marketing venues have been established and constitute a significant portion of our online experience: Google, Bing, and Facebook. Although all three are important in this business, one of them is very much not like the other two. Paid search marketing on Facebook targets areas like groups, demographics and interests. Therefore, your ads are delivered to a much wider audience and your click through rates will generally be poorer by comparison. Facebook is also primarily used for social networking and not as a search engine. 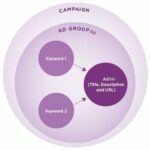 Take these things into consideration and you’ll realize that modeling your Facebook ad campaign exactly after your keyword-focused campaigns on other platforms makes no sense whatsoever. In order to be successful on Facebook, you need to recognize that Facebook is designed for social interaction and design your ad campaign to take advantage of that fact. Successful Facebook ad campaigns are not designed to treat users like potential customers, but like potential friends. Your end goal of gaining a new customer may stay the same, but you’re immediate goal should not be to incite them to “buy now” like some of your ads on Google may infer. Instead, your immediate goal with your Facebook ads should be to establish a relationship with the user that clicks on your ad. Direct users to your business’ Facebook page where they can learn more see what others are saying. Don’t take them off Facebook; they’re not going to like that. Remember, they’re not searching for your business like users on search engines are. Give them something to do when they get there. For example, ask a question on your wall to get feedback. Post a link to something relevant to your business promotion. Upload photos to your page. Get them to press that all-important “Like” button so you can get a better idea of who your customers are and communicate with them much easier. After all, it is a social networking site. Speaking of the “Like” button, give them a reason to push it. Facebook users don’t like to be sold to, but they sure don’t mind things like free trials or discount codes. Offers like this make them feel a little bit more comfortable about possibly becoming a customer and they’re more likely to become a fan if you offer them opportunities without asking for anything in return. After you users become a fan of your business, do not neglect them. Engage them, ask them polling questions, post relevant links, start a dialogue; care about what they have to say. There’s a balancing act though. If you don’t give them any incentive to visit your page again, they won’t. If you post stuff too much, you come off as a spammer and they’ll “Unlike” your page. Keep their interest but don’t overdo it. Do not try a bait and switch. Make sure what’s on your ad is on your landing page. If you try this on a search engine, you’ll just have a high bounce rate. If you try this on Facebook, you run the risk of having unsuspecting users trash your business on their walls which is shared with all of their friends. The social aspect of Facebook marketing is essential. Ignore it, and your Facebook presence will fade into oblivion quickly. Use it to your advantage, and watch your business grow. And remember to be social!